SavingStar Friday FREEbie FREE Jell-O! You are here: Home / Great Deals / SavingStar Friday FREEbie FREE Jell-O! 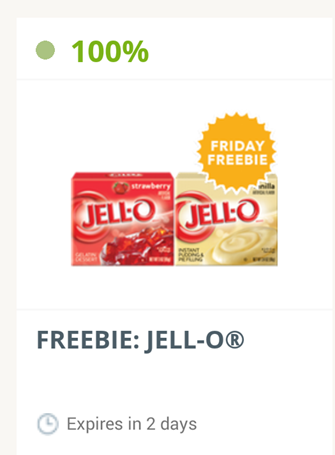 Today’s SavingStar Friday FREEbie is a FREE box of Jell-O! Be sure to download the app and get yours before Sunday.